“The Neuse” is a locally-owned and operated pest control company proudly serving the Raleigh, NC area with a combined 140 years of exterminator experience. Licensed professional exterminator and owner Tracy Coats has a simple business philosophy: Give residential and commercial pest control customers the best possible service at the best possible cost. No magic, no secrets—and no bugs. The highest quality coupled with outstanding value will win the game every time. Neuse Termite and Pest Control met our needs. The technician arrived on time, introduced himself, surveyed the house, and then applied termite control product. He was conscientious and thorough in product application; the area at the end was clean. Pleased with the service. Very informative and professional inspection; prompt service. I have recommended you to a couple of neighbors. Very happy with their services! From our first phone call to the last service visit Neuse Termite & Pest Control did exceptional work. Even the service men cleaned up behind themselves leaving our yard free from any debris after replacing all our under the house insulation and termite control. Their personnel were very friendly and made you feel like you had been working with them for years, even though it was just our first service call. I also was very impressed with the community service their organization helps in the surrounding area. When we found out about our insulation problem they were easy to work with and help us quickly get the needed loan to do the work. They are a great company to work with. Great service. Very professional and honest. Very professional. On time and polite. Excellent service by all staff. Very satisfied with Neuse! I'm always happy with the service we get from Neuse. Most recently Chris came out for our quarterly service and he really went above and beyond to check everything--even moving the fridge! Definitely recommend. Good work in treating for ants and other insects. My crawlspace had sitting water and moisture. Crew installed drain system. They were friendly and professional. Completed work in timely manner. Bill the mgr. was a great help and took time to ensure I had all the documents for the closing of my mortgage. Very professional and personable folks. The work was done as agreed. Would recommend this business with no reservations. Great service provided and service tech was very knowledgeable. My Niece recommended Neuse Termite & Pest Control to us. Very Friendly staff. Technician came out explained everything to my husband and did what he came for. I have 3 pets that I was concerned about and he eased my worries. Very Friendly. I would and have recommended Neuse to anyone. Excellent service performed by a fine young man. Thinking of using for pest control. Reliable company. Great to work with. Satisfied with service I receive. We have been Neuse customers for almost 15 years! They are the best! Very good and timely service. Excellent communication. Neuse always gets rid of the varmints and the creepy crawlies at a reasonable price. I've been using them for years and plan to continue to do so. Jacque and her associate were courteous and professional. Did a good job in explaining their services. Outstanding service, polite and knowledgeable staff. 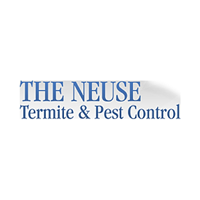 Highly recommend Neuse Termite & Pest Control. Very happy with Neuse Pest Control. They are always quick to repspond and take care of anything between treatments that we may need. Excellent service. They are a dependable and reliable company to work with. Our Neuse representative was very helpful in explaining exactly what we were getting for our money. He was also prompt and thorough with the inspection and treatment. Highly recommended. The technician was extremely professional and courteous. No more than an hour after the technician finished his work, a supervisor came by to check everything had been completed properly. A team of consummate professionals that I would highly recommend to all my friends and family without hesitation. Very economical , will definitely recommend to neighbors. Excellent service! Happy I called.